20 Acres that were purchased next to Laurel Acres Park—another step in Mount Laurel’s initiative to acquire open space and improve spaces that the township already owns. $1,400 Amount stolen from the Wells Fargo Bank onRoute 70. Evesham Police arrested the burglar, who was found next door with cash bulging out of her pocket. $18,000 Value of a rare newspaper that dated back to 1774 donated and found in a South Jersey Goodwill. 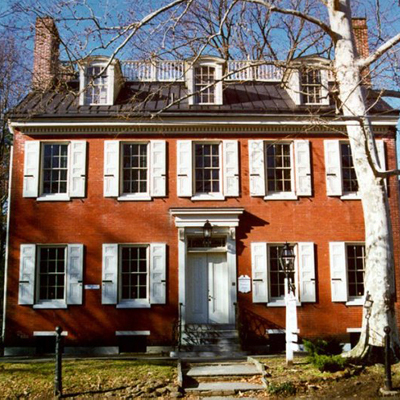 $24,000 Grant awarded to the Historical Society of Haddonfield from the New Jersey Historic Trust in order to establish a long-term preservation plan for Greenfield Hall. $33,000 Donation from Spellbound Brewing to Mount Holly parent teacher organizations (PTO) and the Rancocas Nature Center. The funding will help PTOs with career readiness programs and the nature center’s educational efforts. 250,000 Quantity of diapers donated to the Community Food Bank of New Jersey. ShopRite teamed up with Huggies to give diapers to families who struggle affording them. 2,997,174 Total New Jersey residents who went to the polls to cast their vote in the midterm elections on November 6.